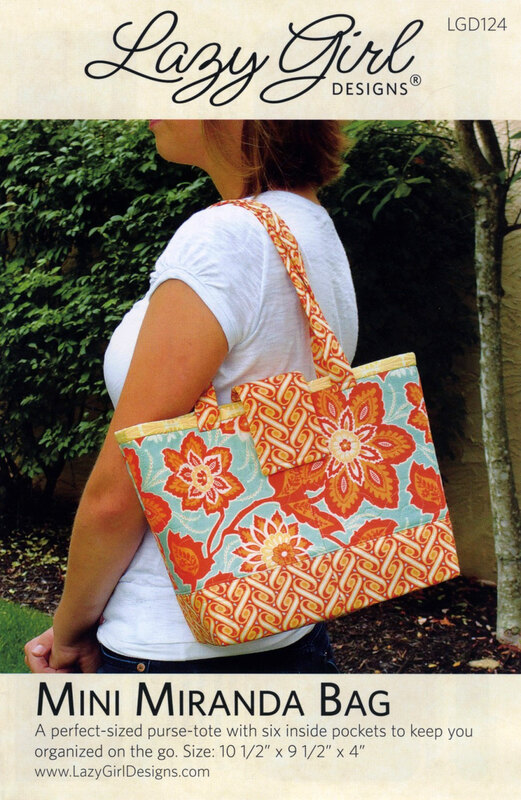 Mini Miranda Bag sewing pattern from Lazy Girl Designs. The Mini Miranda Bag pattern is a purse-sized version Lazy Girl's VERY popular Miranda Tote - click here to see the full-size Miranda pattern. 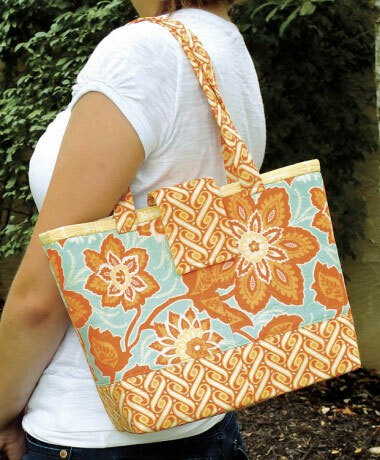 The bag design features 6 inside pockets. Finished size is 10 1/2" x 9 1/2" x 4". This bag uses the Bag E Bottom Size F for bottom form, stability and durability. 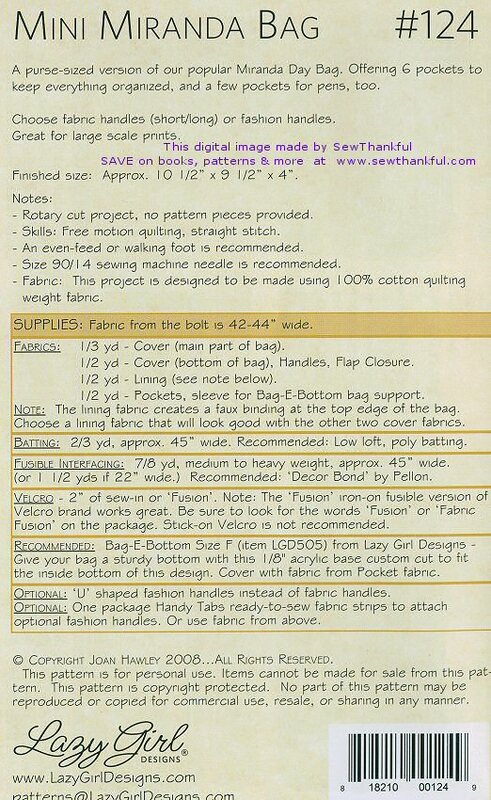 Super bag with good directions. The bottom really helps keep the bag upright.